I offer set packages and one-off research. 3 hours of online research plus 1 hour of collation and presentation. Typically this is enough research time to get information on up to 5 generations of your family, you specify which area of your family I concentrate on. NB I cannot guarantee the availability of records in all cases. Printed genealogical reports in tree format and list format showing the details of the people I have discovered. Plus electronic copies of these reports if required. Electronic copies of any census or other research materials used – typically this would involve pdf copies of census entries and publicly available images of significant places. 5 hours of online research plus 2 hours of collation and presentation. Typically this is enough research time to get information on up to 10 generations of your family, you specify which area of your family I concentrate on. NB I cannot guarantee the availability of records in all cases. Printed and electronic copy of one birth / marriage / death certificate included in the price. Additional copies are available at £9.25 per certificate – NB this is the amount charged by the General Record office (GRO). Printed family tree template with all details handwritten. 10 hours of online research plus 3 hours of collation and presentation. Typically this is enough research time to get information on up to 15 generations of your family, you specify which area of your family I concentrate on. NB I cannot guarantee the availability of records in all cases. 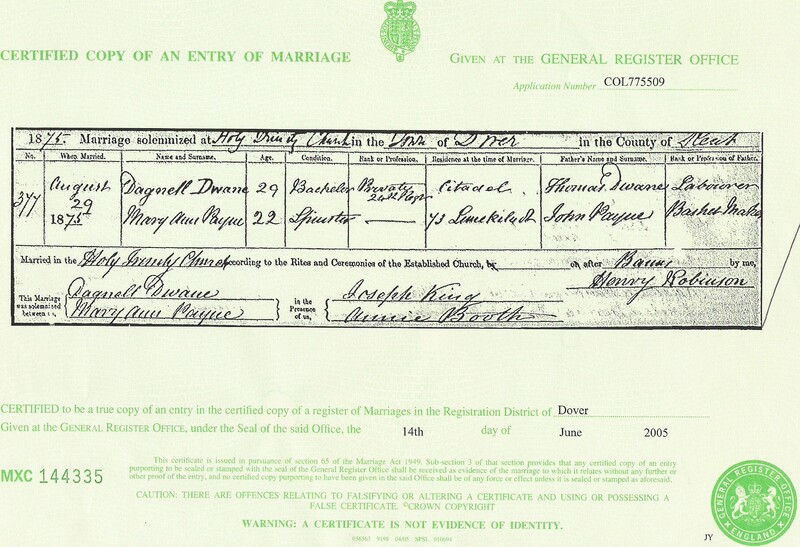 Printed and electronic copy of two birth / marriage / death certificates included in the price. Additional copies are available at £9.25 per certificate – NB this is the amount charged by the General Record office (GRO). 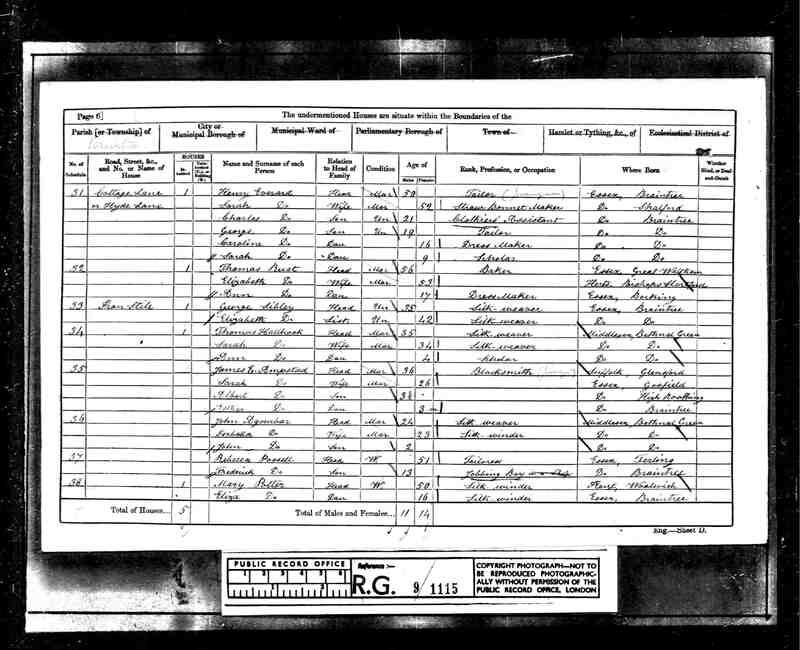 Printed genealogical report in list format showing the details of the people I have discovered. Plus electronic copies of this reports if required. 15 hours of online research plus 5 hours of collation and presentation. 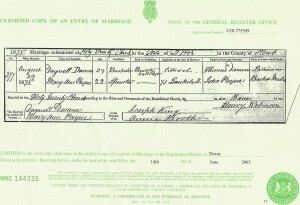 Printed and electronic copy of three birth / marriage / death certificates included in the price. Additional copies are available at £9.25 per certificate – NB this is the amount charged by the General Record office (GRO). A professionally printed family tree, from a commercially available template. In addition to these packages, I can add on any number of certificates (charged at cost) or additional research / photographs, at pre-agreed rates. Visits to parish or archive record offices will be charged at a pre-agreed hourly rate plus travel expenses.